As the healthcare industry shifts toward an information-centric care delivery model, I am excited to direct the growth of these solutions to deliver market-leading collaborative workflows and deeper real-time insights into patient health. Catalyze, Inc., a preeminent healthcare leader in cloud computing announces the addition of Raj Sundaramurthy today as Chief Product Officer, bolstering its leadership team of technology and healthcare veterans. Sundaramurthy is Catalyze’s second high-profile hire since the start of the new year, and this latest addition is well-timed. Healthcare professionals today are faced with a growing multitude of IT applications that are creating record levels of clinically relevant data to be stored, managed, accessed and protected. Health Care Information Technology (HCIT), according to investment research firm Seeking Alpha is “expected to become a $105 billion industry by 2020” as the industry finds innovative ways to deal with increasingly complex and voluminous data. This strategic hire falls on the heels of Catalyze’s December launch of its healthcare integration product called Redpoint, and the company has plans for a second product launch next week. Sundaramurthy will have oversight of these products with engineering responsibilities and will oversee development of the company’s transformational integration and platform as a service products as they expand into wider markets. Sundaramurthy joins Catalyze from Equifax where he was CIO for its Identity & Fraud division and Senior Vice-President (Technology) for Equifax’s Technology and Analytical Services division. At Equifax, he led the Product Management, Product Development, Professional Services and Operations for Equifax’s cloud-based Risk Decisioning and Identity Management solutions. 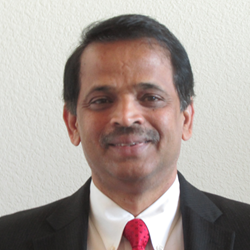 Prior to Equifax, Sundaramurthy held leadership positions in product management and development at Dallas-based healthcare solutions provider Net.Orange, Teradata, i2 Technologies and Citicorp.